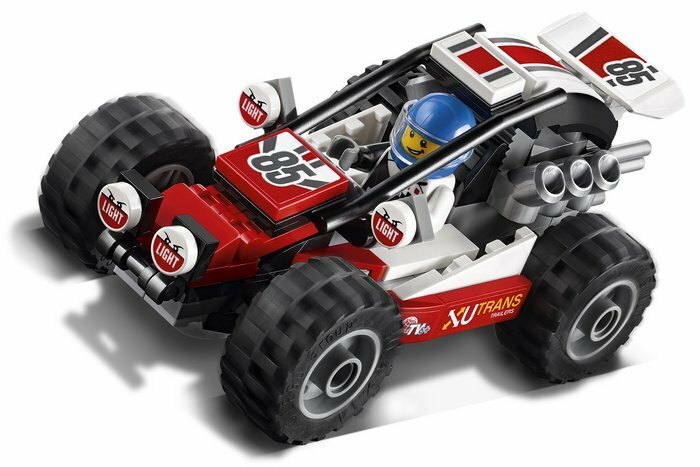 Start your engine and race through the dunes! 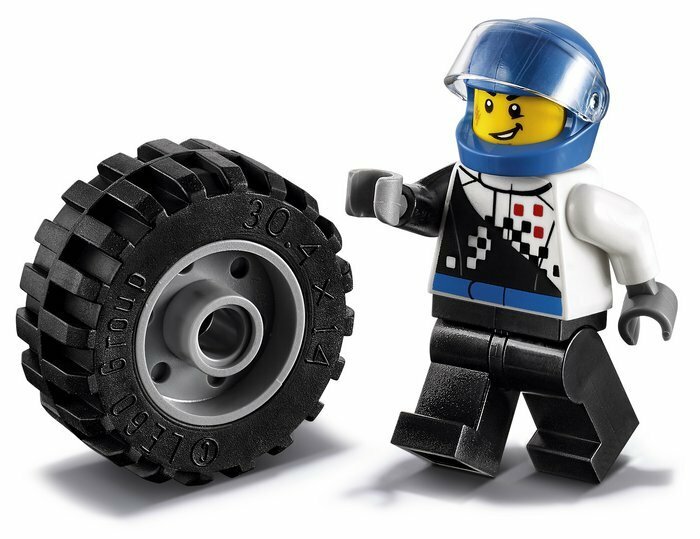 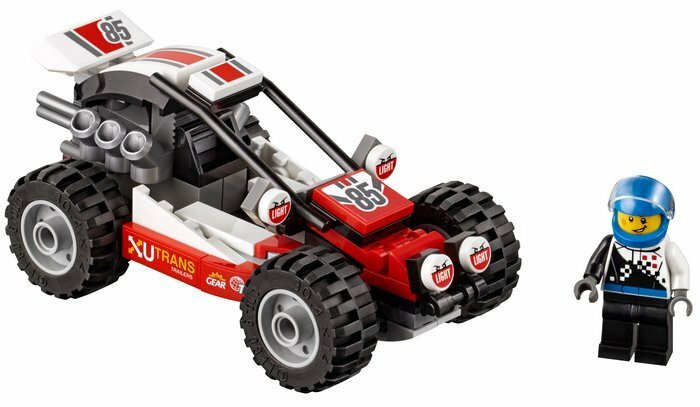 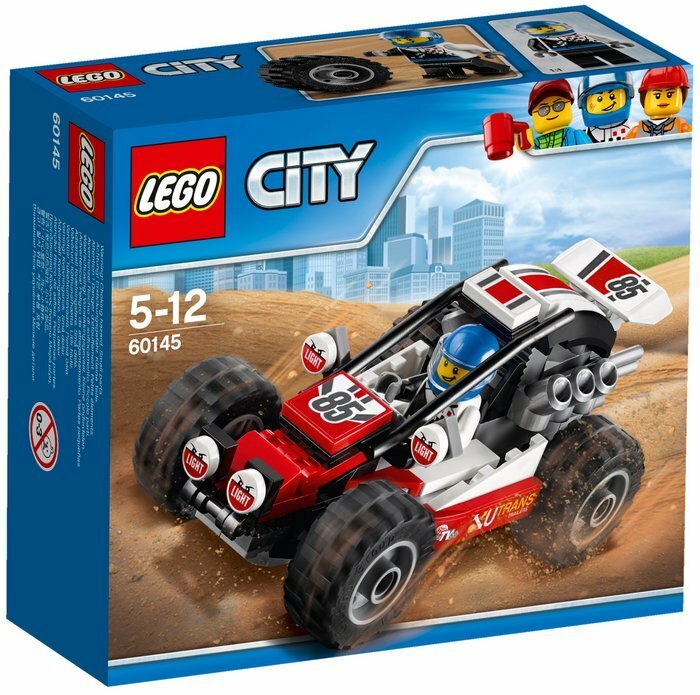 Get behind the wheel and take on the desert with the super-fast LEGO® City Buggy. 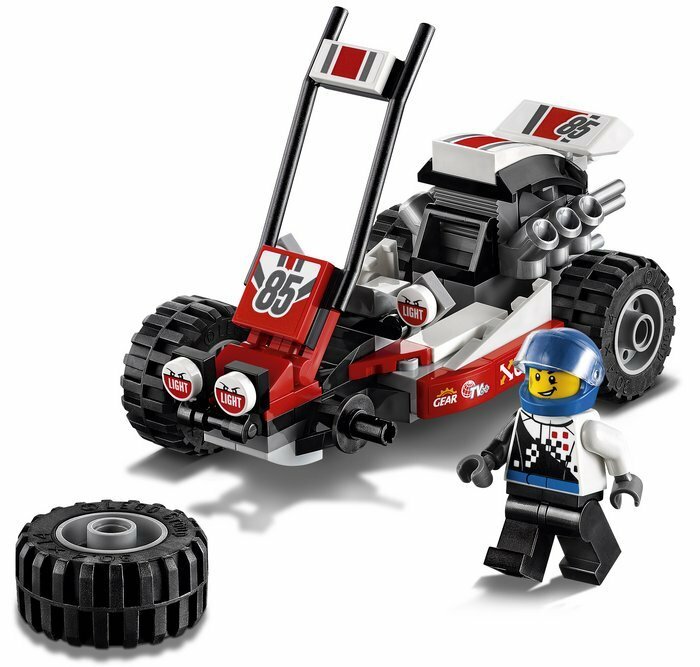 This tough vehicle features an opening roll cage over the seat, huge chunky tires and a big engine at the back. 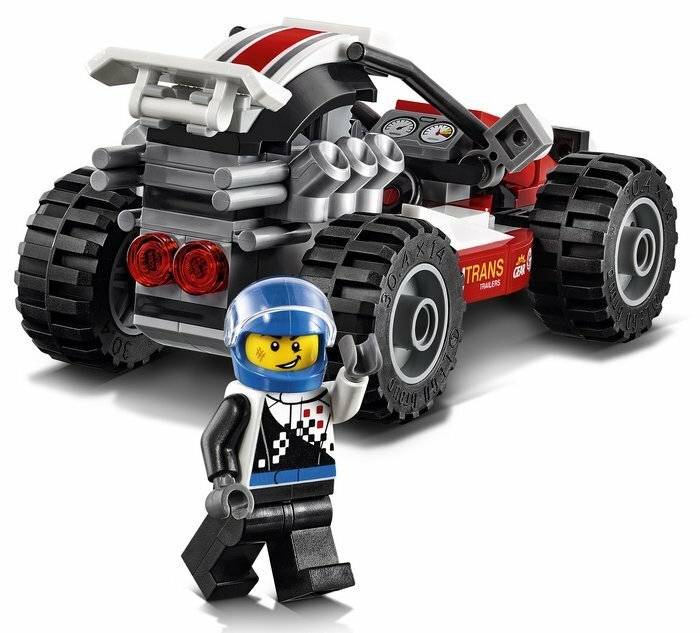 Includes a Buggy driver minifigure. 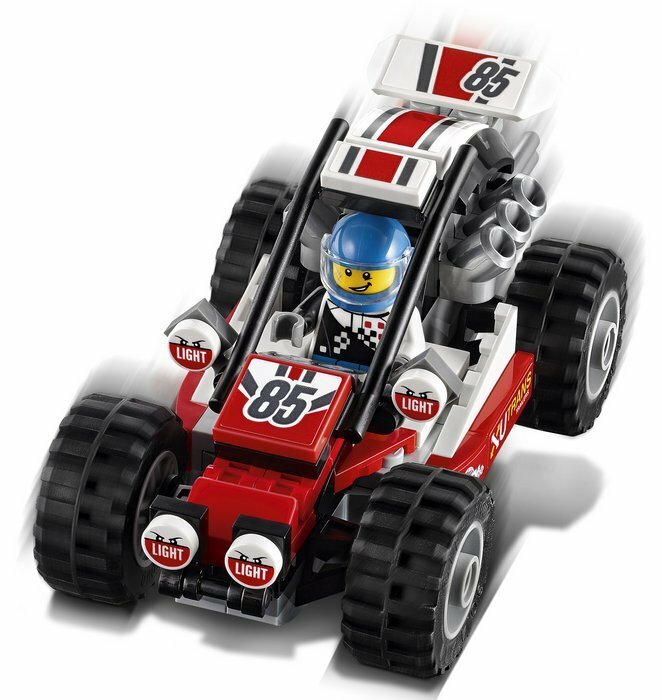 Features an opening roll cage, huge chunky tires and a big engine. 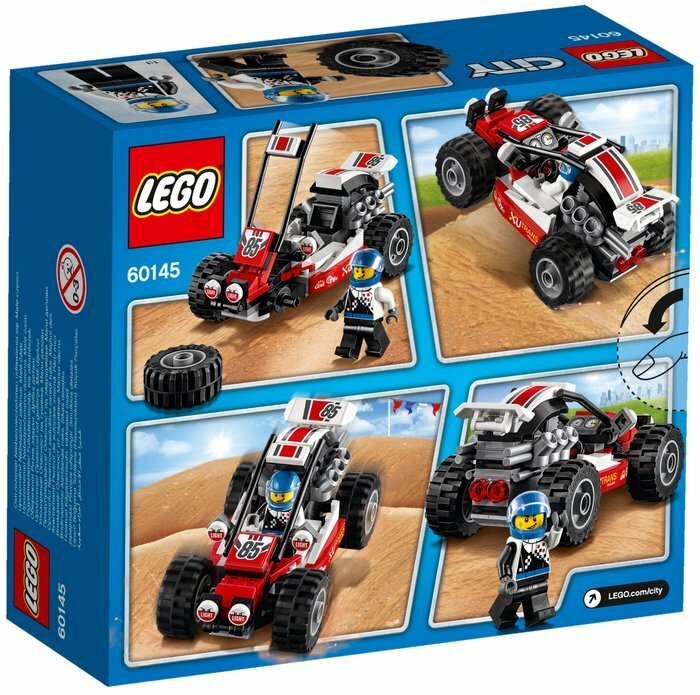 Seat the driver and get ready to ride the dunes! 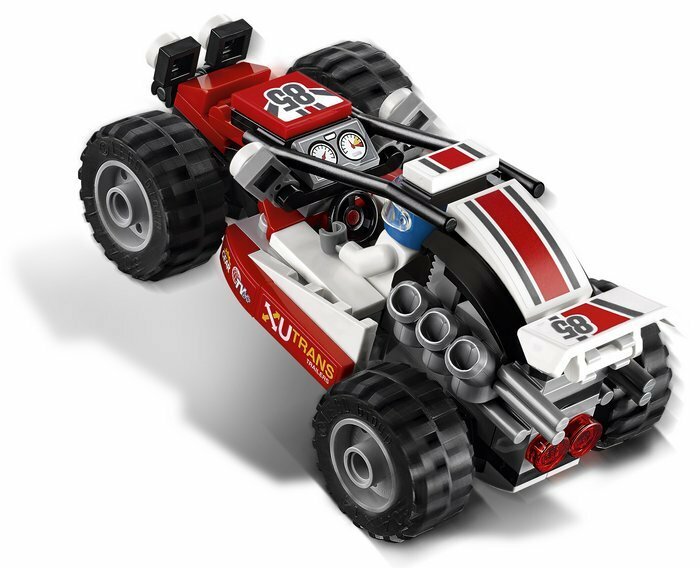 Buggy measures over 2” (6cm) high, 4” (12cm) long and 2” (6cm) wide.